Defining success allows the participants to understand how to win. If the athlete does not know how to be a success, you can win the game, but never really create the passion or future aspirations that learning how to be a success produces. Being a success is so much more than simply being superior over another opponent. According to Tony Dungy, success is doing the absolute best that you are capable of doing. We want our athletes to walk off the field after training or a game and say “I tried as hard as I could during the entire activity. I have nothing else I can mentally or physically give.” This is the effort required to be a success. Success is only possible if you train and play games giving a 100 percent effort, you train during time away from mandatory practices, your coach selects the appropriate developmental activities, your parents and other supporters create an environment of intentional positive interaction, you watch and support the game with tireless enthusiasm, and a passion for the sport is developed at a relatively young age. Many athletes are looked at by people away from the sport as odd or different or even ignored. People not involved in the sport or who are less committed do not understand why an athlete would dedicate themselves to train five or more days a week, drive hours on end to participate in games or tournaments, and allow the sport to be the center piece of their already busy life. Having this type of dedication to improvement and success is special. 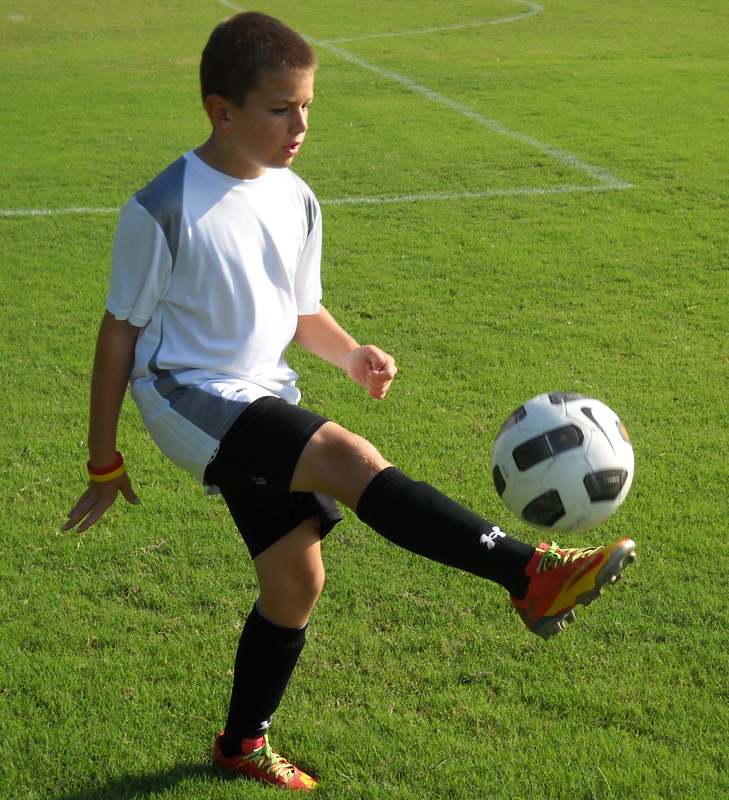 At Storm Soccer Academy, we are dedicated to a juggling curriculum for all of our participants. We believe a direct correlation exists to technical excellence and juggling success. Success is defined as breaking records and passing surface tests. The players love it and look forward to getting to training to begin juggling. Some even practice juggling on their own so they can break their records and have a better chance for success during the test. Assisting in creating this type of passion and culture dedicated towards success has been an amazing experience I have been proud to be part of. It was funny to watch how juggling became quite popular with teams not associated with Storm Soccer Academy over the course of the last few years. These groups would watch what we do in training and observe the successes we have during games. Working through the quote made famous at the top of the post by Mahatma Gandhi, the juggling we perform during training was ignored as we began with a small group of participants, we were laughed at as being circus participants, we were fought through others telling their teams we waste our time juggling for nearly thirty minutes each session, and then something strange happened. Being a successful soccer ball juggler was deemed success. We now look around the complex where our team’s train and a majority of unaffiliated teams begin their training session with juggling for a duration of 10 to 20 minutes. In the course of four years, our successes at Storm Soccer Academy has attempted to be replicated. By doing the absolute best that the athlete and team is capable of doing, the individual and group discover success and the effect of success gives assurance that the score will take care of itself. Please tell at minimum one person today about how they can create an environment of success for their athlete by following EducatedCoaches.com. One of the most difficult definitions to understand and apply.